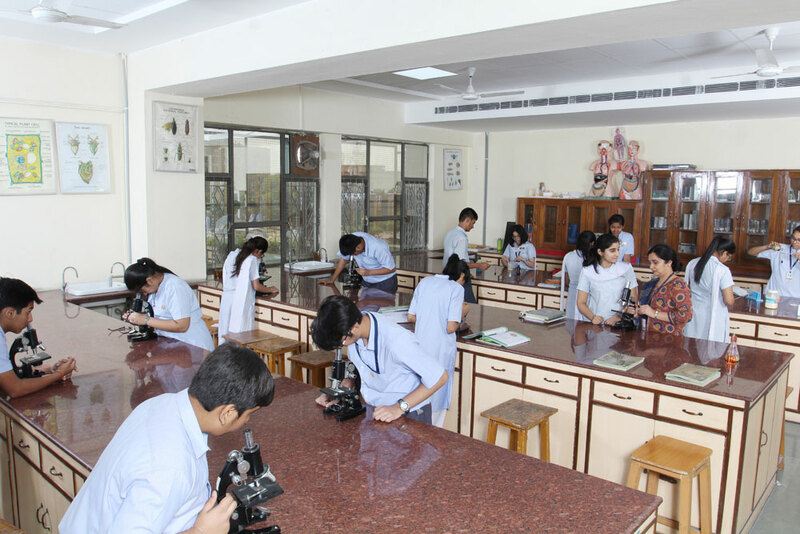 Biology lab is very well equipped with maximum capacity of 30 students and an area with 39’5’ length’ and 24’10’’ width with 4 slabs. 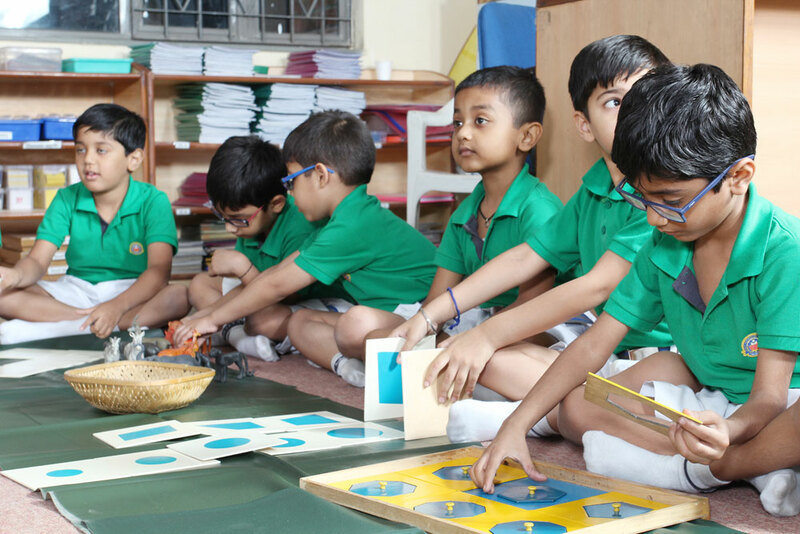 It is equipped with a projection microscope, overhead projector, oven, 3D models with charts and 2D framed models. The special highlight of the school is their own herbal garden. 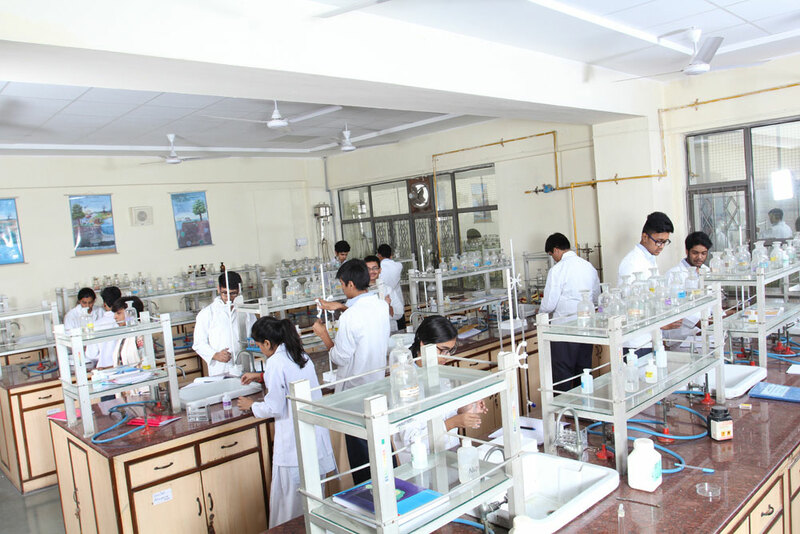 Chemistry lab is well-equipped with maximum capacity of 30 students and an area with 24’10’’ width and 39’5’’ length with 4 slabs. It has well-maintained equipment like distillation kit, pipettes (mechanical) along with manual, centrifugation machine – electronic, electronic balance, thistle funnels, deflagrating spoons, etc. and models like biogas plants, linen tester, density kits, etc. 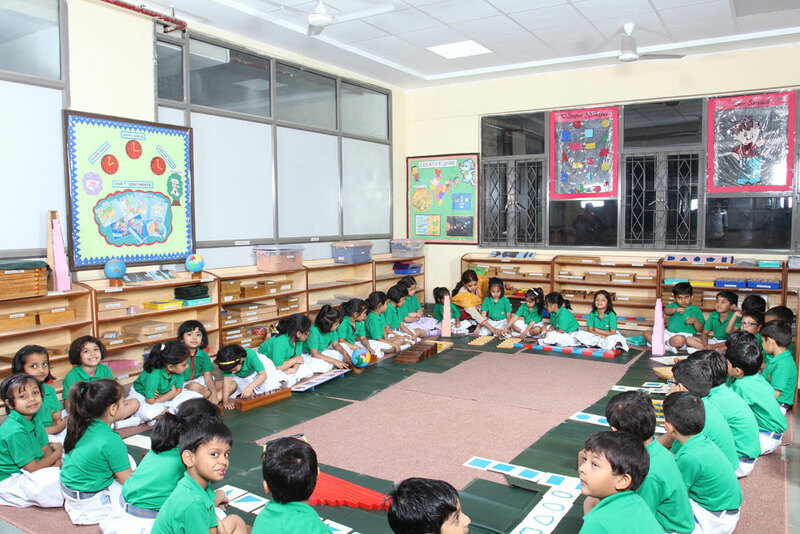 The school has a spacious and well-equipped computer labs for pre-primary, junior wing, senior wing and teachers. It comprises 80 computers with latest hardware and software configurations. 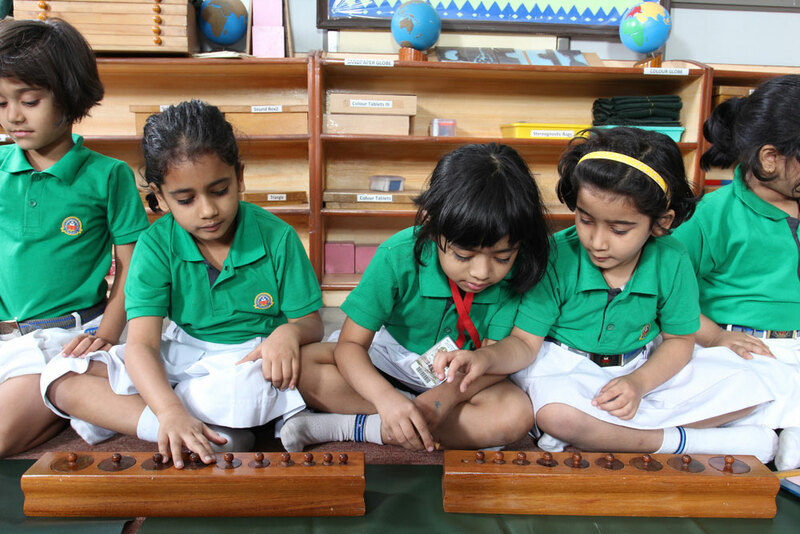 The Montessori lab nurtures and cultivates the unique qualities that each child possesses through engaging, meaningful, multi-sensory lessons, activities and materials. 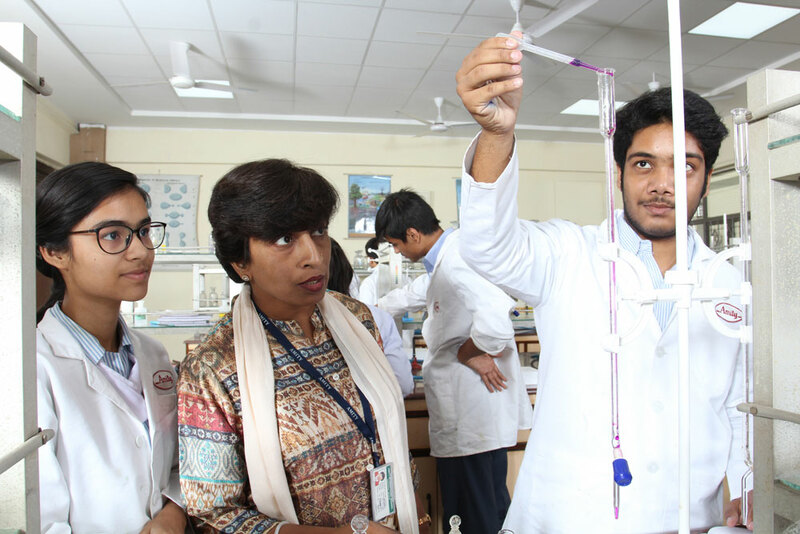 The school boasts of not one but three state-of-the-art labs for Biology, Physics and Chemistry. 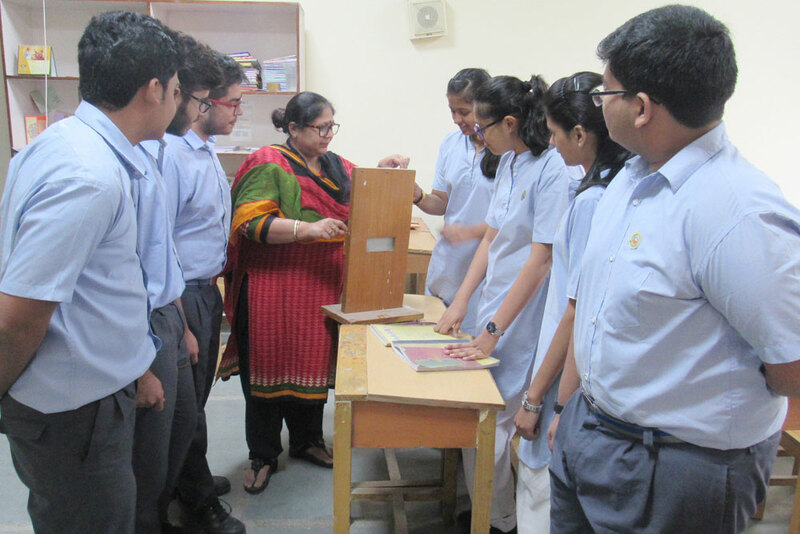 Students perform interesting experiments and indulge in hands on activities here. 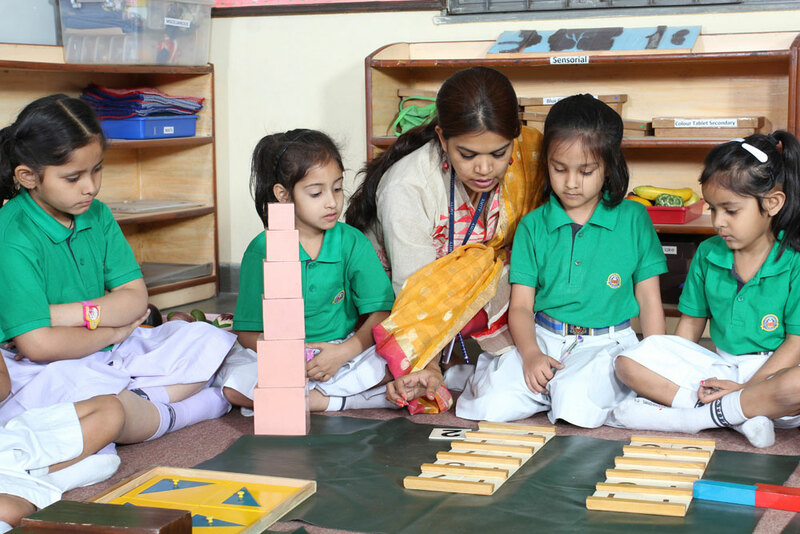 Theoretical learning is enhanced by experimentation and practical learning of scientific concepts. 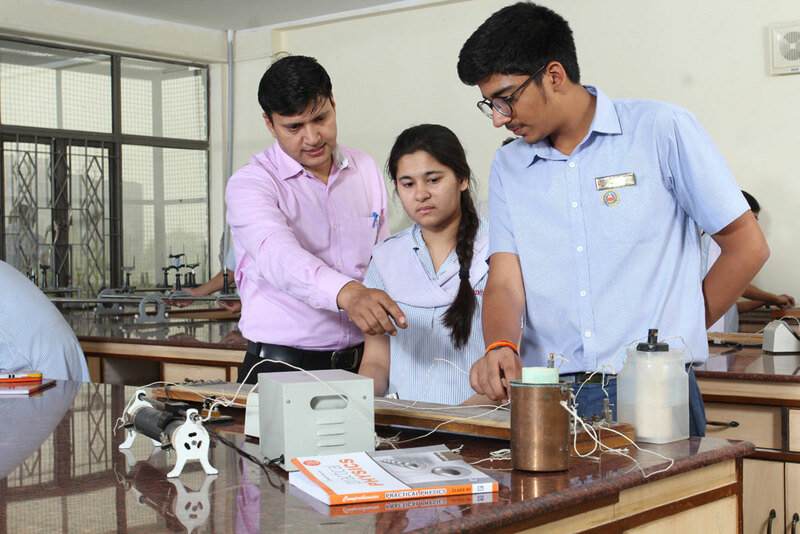 The laboratories have been designed as per CBSE specifications and are instrumental in strengthening the scientific foundation of the students. 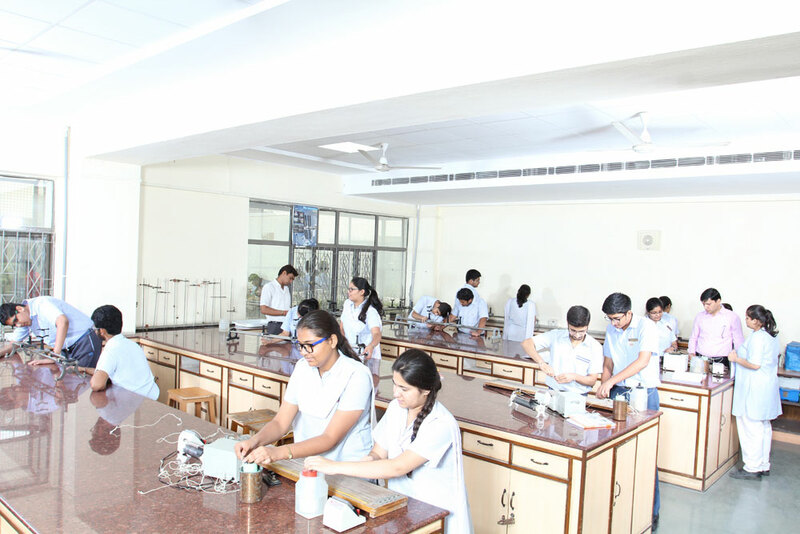 The school’s Psychology lab which is functional for nearly about a decade, is well stocked with tools and tests that measures psychological constructs as intelligence, personality, anxiety, learning, perceptual ability, memory, aptitude and so on, the right place to unravel the mysteries of human mind and behaviour.